In a Nutshell: With an abundance of bills, copious credit cards, and a variety of miscellaneous payments due every month, it can be easy to forget a due date — especially without effective financial organization. Unfortunately, that small oversight can come with a big fee. Intuit’s popular personal finance platform, Mint, is working to solve the problem of late-payment fees. The newest update of the software integrates a host of intelligent features designed to help users avoid missing due dates, including alerts, on-the-go payments, and a calendar of upcoming bills. Now, in addition to your bank and investment accounts, you can incorporate both online and offline bills into your Mint budget creation and financial tracking, so you’ll always know where your money is — and where it needs to be. One of my good friends lives in what I like to call the “Post-It World.” Nearly every available surface of her home and office is covered in little sticky squares, with hastily scrawled notes and reminders. Everything from her grocery list to the bills she needs to pay can be found on one of those little scraps of paper (but good luck determining which one). To me, her system seems to be one of the least effective and most inefficient she could have possibly devised. The blasted things aren’t even color-coded! How can she ever manage to pay her bills on time? The answer is: she can’t. My friend is notorious for regularly making late payments — or missing the payments entirely. And she’s not alone. According to Kimmie, nearly 25% of Americans miss a bill payment each year, leading to late payment fees, interest rate increases, and potential credit impacts. Those missed payments can really add up to a big problem — and fast. 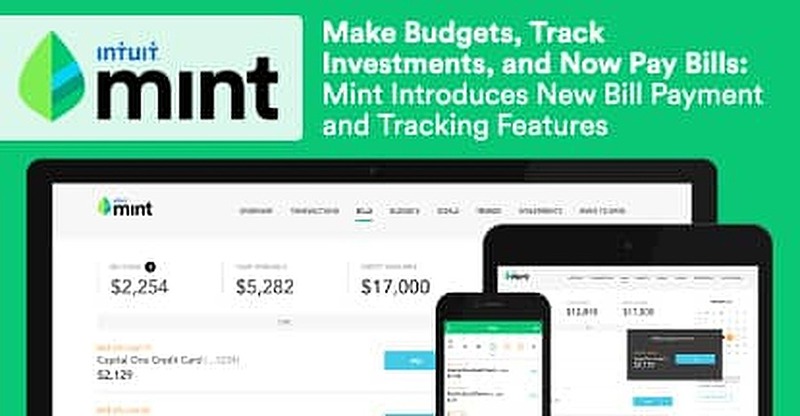 To help combat the missed-payment problem, Mint has introduced new bill payment and tracking features into its popular personal finance software. If you’re anything like my friend and her mountain of sticky notes, you’ve probably found yourself stuck paying a late fee (or two) because you simply forgot a bill was due. That lack of organization does more than annoy your spouse or co-workers; at $25 to $50 a pop, those late fees can end up costing you big bucks in the long term. With Mint, the reminders that once lived on neon-colored notes can now reside in a better home: your personal finance software. 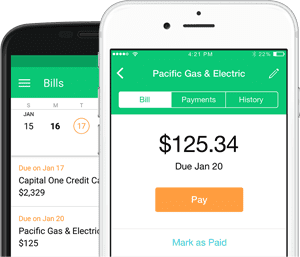 Available on desktop and mobile, for iOS and Android, Mint has introduced a host of features to track your bills — and pay them — on-the-go. Mint’s new bill-centric features include tracking, alerts, and on-the-go bill payments. “Our goal? To help each of you effortlessly stay on top of your money so you never miss a bill,” added Al. Many of the new Mint features may be recognizable to consumers who used what was previously MintBills, a separate app dedicated to bill tracking. Instead of using multiple platforms, Mint users now have one, streamlined location for their finances and bill pay needs. While most people enjoy a good software update, the first thought of some will certainly be about the functionality of existing features they don’t want to change (or disappear altogether). Well, have no fear, devout “Minters”: this update is all about additions. In fact, thanks to this update, you can now integrate not only all of your bank accounts, credit cards, and investment accounts in one place — but also your bills, both online and off. You can still set spending alerts, track your investments, and monitor your credit score, all while knowing exactly where your money is — and, now, where it needs to be. With access to all of your finances, including the money going out as well as what’s coming in, you can make the most accurate, effective budgets possible — budgets you can create right in Mint. The new Mint bills functionality integrates with all the existing Mint features that you know and love, such as budget creation and spending alerts. According to the site, Mint’s budgeting feature can “calculate average spending by category with a click so you can easily create a budget based on spending patterns. See how much you’re spending on what, year-to-year or month-to-month.” With the addition of bill tracking and payment, your budget will now be able to automatically include your bill-related expenses, better enabling you to plan and save. “The addition of bill reminders and payment makes Mint the natural home for millions of people, both new and existing users, to have a healthy relationship with their money, reduce stress and ultimately, achieve their financial goals,” said Al. The way I see it, my friend has two options at this point: adopt a new organization system — or buy stock in Post-Its. While buying stock wouldn’t be the worst move (3M, the company behind Post-Its, has shown consistent growth over the last five years), her best bet is likely to download an app like Mint. With bills, budgets, and a whole host of alerts and reminders, Mint can definitely freshen up my friend’s stinky financial habits.